Home ReboCoaching Real Life Real Estate Real Life Real Estate – Victory can be yours! Real Life Real Estate – Victory can be yours! How often do you find yourself, at the end of the day, grumbling over something that went wrong, no matter how many things went right? This kind of mindset can be draining and frustrating, and can get in the way of your success. 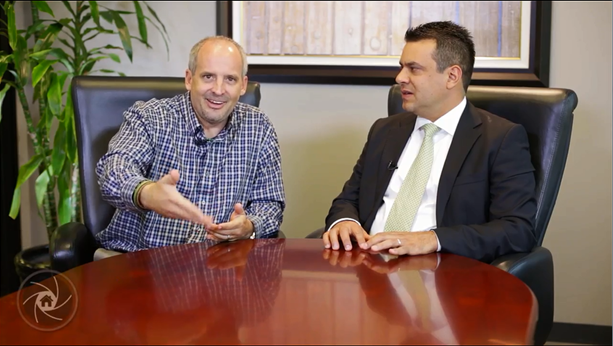 In this video, real estate coach and former successful real estate agent Dan Smith gives you a tool to address this problem head-on – a Victory Log. Take a few minutes to watch the video and think about the things you’ve achieved today (including coming to ReboReports to learn something new and better your business!). You might be surprised at how much you did achieve, and how good it feels to put everything in the proper perspective. What I want to talk to about this week, it’s what I call a “Victory Log.” So let me explain that just a little bit. Real estate agents, salespeople, all human beings in this world… we tend sometimes to focus on the negative and not the positive. We could have three or four or five different things go on in our day that were pretty good, that were really good, and then just this one thing happens that totally messes with our heads, and all we do is focus on that one negative thing, and it can completely ruin our day and make us forget about all of the good stuff. You know, maybe you had a couple of good doorknocks, or a couple of good calls, or a couple of good open house contacts, maybe you even set two appointments, maybe you got a deal put together, finally, because they’ve removed their contingencies. All that’s happened in one day. And you know what? It should be a great day! But of course, there’s something else that happens in our day, and a seller calls up and tells us, “you know what, I’m not real happy with you, so I’m thinking of cancelling my listing.” Or a buyer calls up and says “you know what, thanks for taking me out and showing me for the last couple of weeks and helping me write offers, but we’ve decided to buy someplace else so we’re not going to need you anymore.” And what do we do? We go crazy thinking about those two things, and we don’t really focus on the positive. The deal we put together. The leads, the knocks, the open house, whatever it is. All we do is think about the negative. And we need to change that, because that negative was just one thing, so why focus on it, but that’s what we as human beings do. So what I want you to start doing, and I call it the “Victory Log,” I want you to start focusing on all the small victories you have throughout the day. Day in and day out. You got to where you were supposed to be on time which, for some of you, as we know, is a struggle. That should be a victory for you. You had some great contacts, some great leads. You got some actual productive activities accomplished. You followed your schedule. 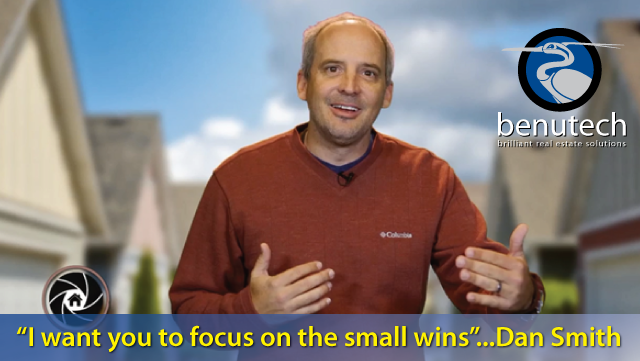 I want you to focus on the small wins. All of the small wins. So here’s what I would do if I were laying out a victory log – which, well, I’ve laid one out – here’s what I would do. I would start each day with a powerful quote to read, to get my mind set in the, going in the right direction. And then I’d have a kind of checklist of things throughout the day that I wanted to accomplish, and spend a few minutes in the morning saying “I’d like to get these two, three, four, five, six, seven things done today. And then I’d have a spot on the same page where I can write down every time I had a victory. I could put that victory, and I could actually write it down on the piece of paper, because if you try to remember at the end of the day, you’re not going to, because you’re only going to focus on the negative. Every time you have a small win, a small victory, you write it down. And then at the end of the day, I’d sort of have a recap of what I should be thankful for. What happened during that day that I should be thankful for, sort of a journal entry, a couple of sentences. Just recalling or being able to look back at this a month or a year later and read about what did this day look like. And you put all that in one thing, and I call it a journal or log, you put all, one of, kind of a log book. Put all of that on one day, and then the next day you do it again. And the next day you do it again. And you’re going to start retraining your brain, retraining your mind to actually focus on the small positive things and not those negative pesky things. Does that make sense? Say yes. Ok. Pretty easy stuff, people, for you to get control of your mindset day in and day out. Now, for more great coaching videos and ideas, make sure you keep tuning in to ReboReports.com. Make sure to check out my website, versatilityinsales.com. Ok? Thanks for tuning in. I look forward to seeing you next week, and remember, to get what you’ve never had, you must do what you’ve never done.